This is Christian and he’s Stranger #12! I first noticed Christian as he was skateboarding in a popular area for skateboarders. I admired his dedication for perfecting his skills as he performed one move over and over. I called on my courage once more as I approached him about the project and he quickly agreed to pose for the camera. Normally, when I complete a portrait, I move on quickly so I won’t disturb what the person was doing before I approached them. However, my encounter with Christian was totally different. After the photo, he was eager to learn more about the project and he also told me more about himself. 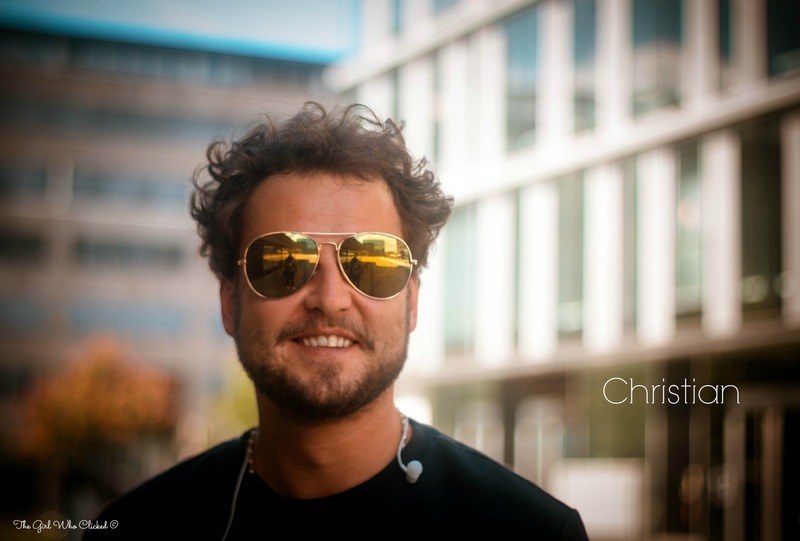 I learned that Christian is re-discovering his passion for skateboarding after taking a break for 10 years and that one day he hopes to visit the United States (and possibly attend a skateboarding competition). At the end of our conversation, I asked him if he had any words of wisdom he wanted to share with readers and he advised that, “Everyone should find true love in life”. Good words to live by! After having a nice chat with Christian, I walked away with the notion that this project is more than just taking portraits of strangers, it is also about connecting with the beauty of the human spirit.